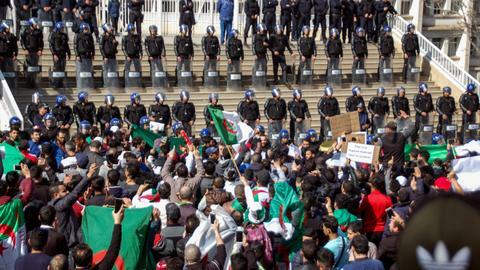 Protesters demand immediate resignation of President Abdelaziz Bouteflika, who is fighting for his political survival in the face of relentless protests and the desertion of long-time allies. 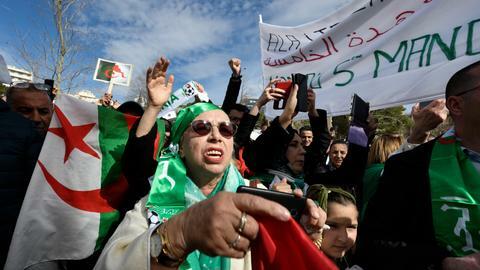 Thousands of Algerians on Friday demonstrated in the major cities of the oil-rich North African country, demanding the resignation of ailing, 82-year-old President Abdelaziz Bouteflika. The number of protesters was much smaller than predicted by organisers, however, as rain appeared to dampen attendance on the fifth straight Friday since nationwide anti-Bouteflika protests began on February 22. Families joined professionals and students in the central squares of Algiers, the capital, holding signs reading "Get Out, Bouteflika" and "No Mandate Extension." Bouteflika last week indefinitely postponed April's national election and overhauled the government. While he abandoned his bid for a fifth term in office, his simultaneous postponement of the election has critics worried that he intends to hold on to power indefinitely. He has been president since 1999. Bouteflika, badly weakened by a 2013 stroke, has remained an enigma, with very few public appearances. The president returned earlier this month after two weeks in a Geneva hospital, but the exact state of his health is unclear. 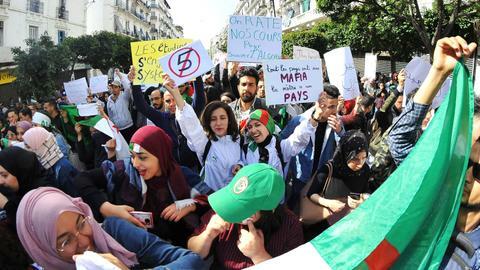 Workers at Sonatrach, the national oil company whose executives are close to Bouteflika, held a symbolic sit-in on Thursday in solidarity with the protests that span all sections of society. New Prime Minister Nourredine Bedoui has promised to create a new cabinet within days to respond to the demands of Algeria's demonstrators. Yet, Bedoui is still struggling to form a government, with many potential candidates seeking to keep their distance from the unpopular president.